Sony Mobiles is the company that has been able to bring a lot of great devices in the market. One such device is Sony Xperia ZR for which a software update has been announced. The device would get the Android 4.2.2 Jelly Bean operating system as per the announcements made. The firmware is 10.3.1.A.0.244 which gives the exact idea about the update. Some visual enhancements have been noted by a mobile website that comes with the software updates. 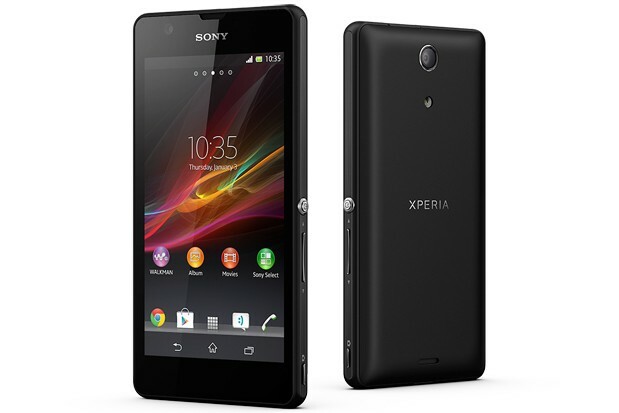 Sony Xperia ZR Price is Rs 27,750 which is higher than many handsets in the market. But among the top mobile manufactures this price is just alright. Some companies still sell their devices for around Rs 35,000. Sony hasn't put that price tag for this handset. Sony Xperia ZR features show that the handset is in the only handset that can film videos underwater. For recording those clips there is a 13.1 MP camera in this phone. This camera has a LED flash so that night time photos can be captured with bright light. Further adding to the camera is the Exmor RS which lets the user click better images in bad light. It has been ensured that images never look ugly hence HDR assistance is also present. All these great images can be seen on the 4.55 inches camera for the phone. This screen also supports OptiContrast which improves the images quality and make them clear to look at. To make sure the images clicked have a great quality not just good to look on the screen Mobile Bravia Engine 2 has been installed in this phone. Thus users can easily enjoy games downloaded from the Android Play Store. Not only games but applications for everyday use like anti-virus and entertainment are present in the store. Some applications and games are for free while other have a price tag. But games always depend on the type of CPU present in the device. There is Quad-core 1.5 GHz Krait which can make the gaming experience great. Further adding to the CPU is the Qualcomm Snapdragon APQ8064 chipset that also accelerates the device. For graphics acceleration Adreno 320 graphics card has been added to the phone. Theses games and applications could be stored in the 8GB memory inside the phone. And 2GB temporary memory called RAM is also present for providing memory to the phone. Sony Xperia ZR pictures show that the handset is not to small and it can be estimated that is hold microchips inside it. Sony Xperia J is also the Impressive Models in the Xperia series the phone spec's is also very good as we compare it with other's company mobiles.